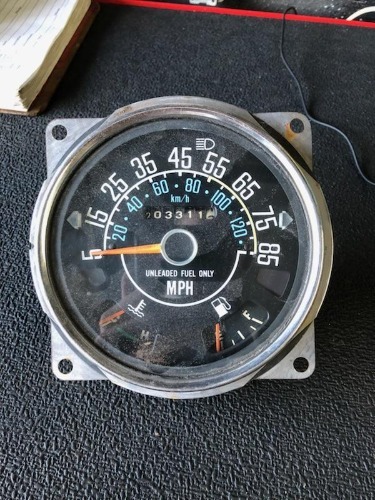 Here is a used 5-85 mph CJ speedometer with fuel and temp gauges. The 85 mph speedo will fit 1980-1986 CJ5, CJ7, and CJ8. It's in good used condition. This may fit other models or years, please check your application. Used parts are expected to have some wear, surface rust, scratches, etc. Be sure to check out the pictures!